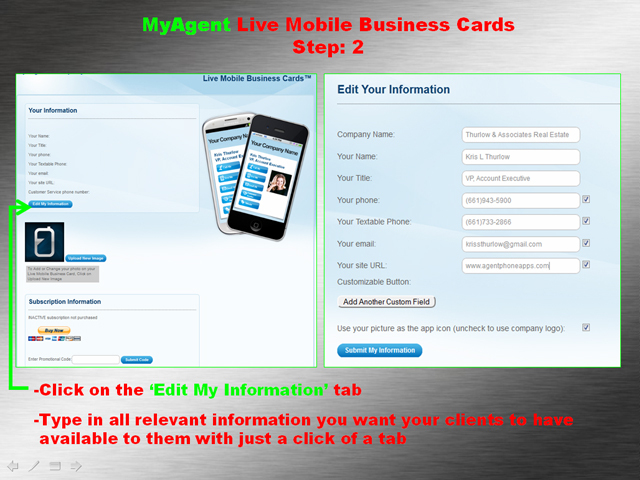 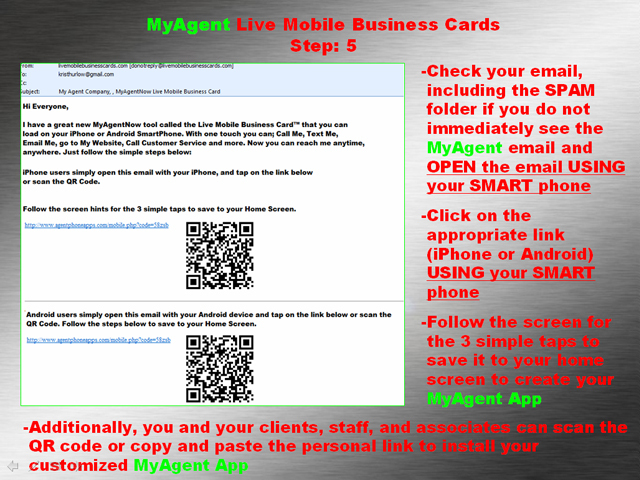 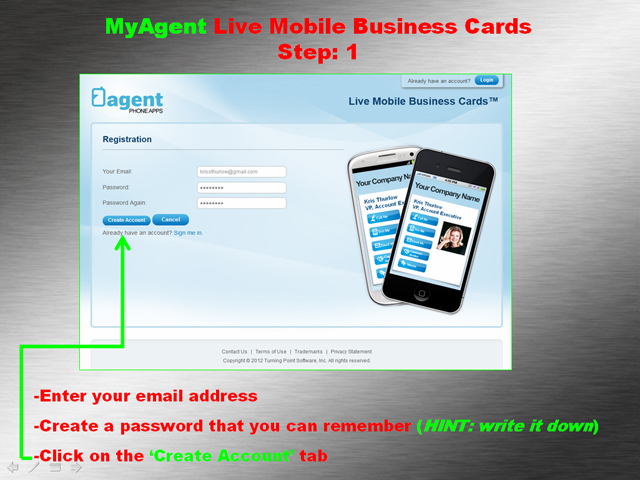 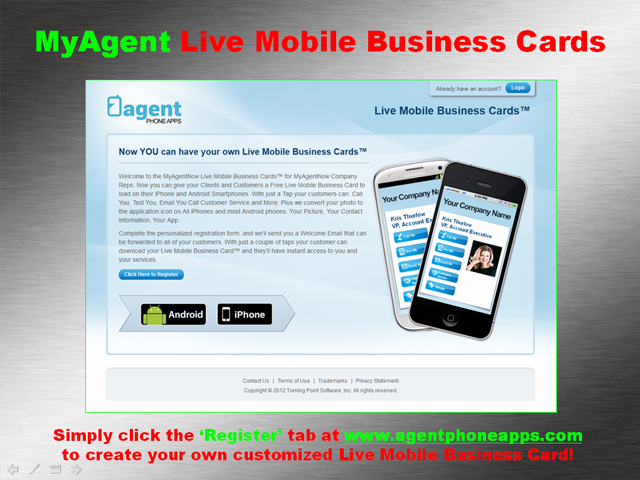 Welcome to the MyAgentNow Live Mobile Business Cards™ for MyAgentNow Company Reps. Now you can give your Clients and Customers a Free Live Mobile Business Card to load on their iPhone and Android Smartphones. 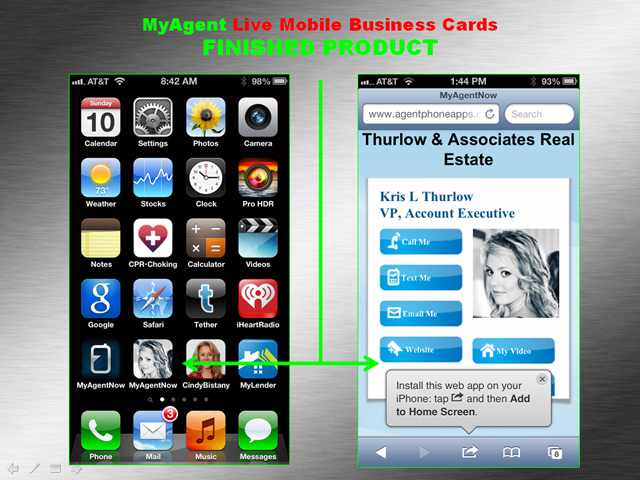 With just a Tap your customers can: Call You, Text You, Email You Call Customer Service and More. 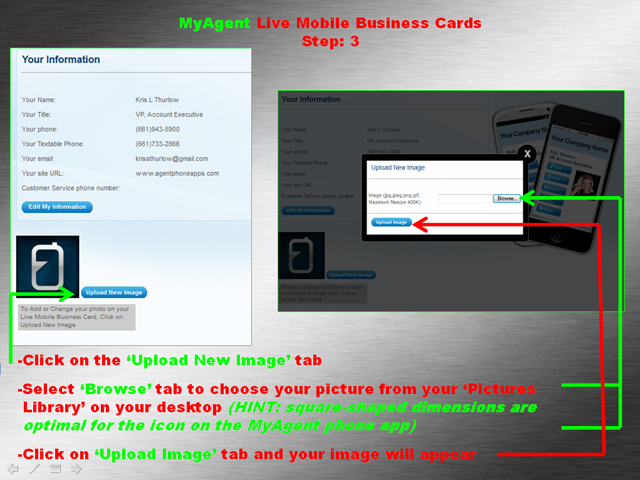 Plus we convert your photo to the application icon on All iPhones and most Android phones. 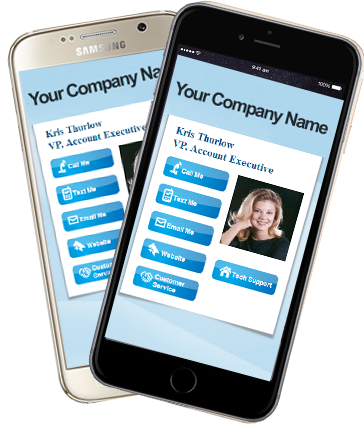 Your Picture, Your Contact Information, Your App. 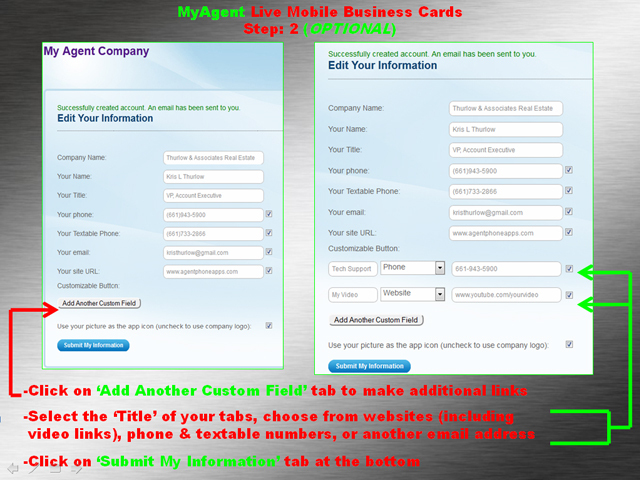 Copyright © 2019 Turning Point Software, Inc. All rights reserved.